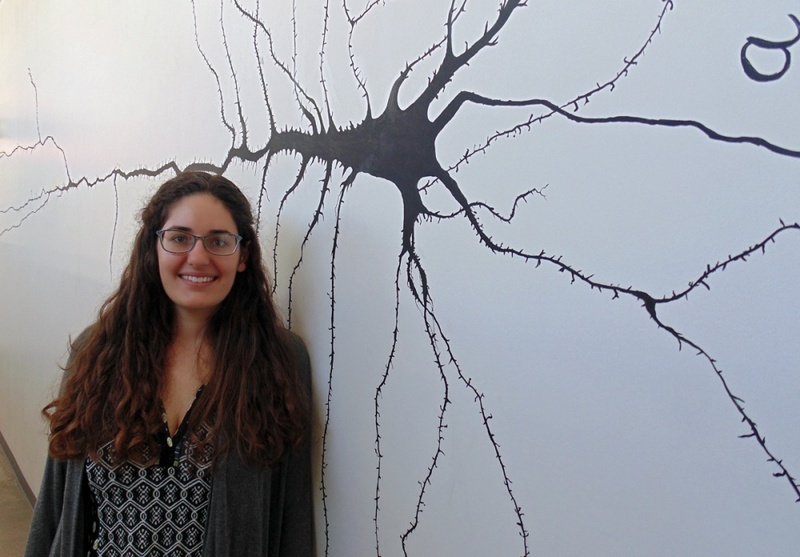 Emily Sales, a doctoral student and graduate teaching fellow in the lab of UO biology professor Chris Doe, is the recipient of a competitive national fellowship that will support her research and teaching for up to three years. Sales was among 34 graduate students nationwide granted a Gilliam Fellowship for Advanced Study by the Howard Hughes Medical Institute. The goal of the fellowships is to increase diversity in the science work force. Sales just completed the second year of doctoral studies. Sales believes the award will help her become a more effective researcher and empower her to contribute her perspective to the neuroscience field. The fellowships provide full support to promising doctoral students from groups traditionally underrepresented in the sciences. Each fellow will receive an annual award totaling $46,000, which includes a stipend, a training allowance and an institutional allowance for up to three years. In addition to receiving support for advanced studies, Gilliam Fellows also attend meetings with Hughes Institute scientists and receive intensive mentoring from their advisors. Doe, a Hughes investigator at the UO, has been mentoring underrepresented minority students throughout his 27-year teaching career and said he is excited at the opportunity to mentor a Gilliam Fellow. Doe said he wants to provide Sales with individual support and real-time feedback on her research project. He said he wants his students to know that some experiments fail, and that failure is expected and necessary for their training. “I want to encourage Emily when she is struggling and when she is celebrating her successes. I want to connect her with the right people in my lab and university to give her the appropriate technical training,” he said. The fellowships were established in 2004 in honor of the late James H. Gilliam Jr., a charter trustee of the Hughes Institute. Since then, the institute has provided more than $16 million to fund the Gilliam program. The program’s goal is to ensure that a diverse and highly trained work force is available to assume leadership roles in science, including college and university faculty who have the responsibility to develop the next generation of scientists. "The Gilliam Fellows are outstanding young scientists who have expressed a clear commitment to advancing diversity among scientists," said David Asai, senior director of science education. "Their potential for scientific leadership is enormous, and the program emphasizes the professional development of the students and their thesis advisers."